Boers-Li Gallery is pleased to announce its participation in ART HK 11, which will open to the public on Thursday 26th May. We will present a group exhibition featuring works by Qiu Xiaofei ,Chen Yujun, Song Kun, Zhang Peili, Yang Xinguang, Guan Fengdong, Zan Jbai, Qiu Anxiong, Lu Yang, Zhang Wei, Angela Bulloch, Xie Molin. For more information about the artists, please click on their names. 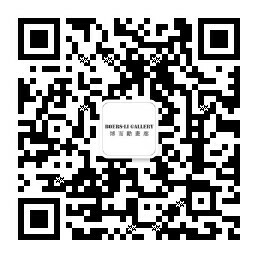 Qiu Xiaofei: Born 1977, Qiu's artistic practice includes oil and watercolor painting, three-dimensional painting-sculpture, and (video) installation. The works uniquely articulate the relationship between concept and aesthetics. His early work is largely concerned with the relationship between memory and history, while his most recent work contemplates the power relations of art history, the theorisation of the spectacle, and the work of the basic psychoanalytic apparatuses. His paintings recall a dreamlike and blurry state of memory that bears only an impressionistic relationship to reality. Chen Yujun: Born in 1976 in Putian, Fujian Province, Chen’s practice deals with the issues of migration and identity. Many of his paintings, collage and installations are concerned with the experience of Chinese Min Diaspora, of which his family are descendants, and focus on this linage and the living environments of that alien territory. Song Kun: Born 1977, hailed as one of the most promising young female artists of her generation, her paintings examine the minutiae of daily existence. The surrealistic dreamscapes in her work are derived from her life as a young woman in a changing, urban China and the imagined fantasies that grow out of it. Zhang Peili was born in 1957 in Hangzhou, China. In 1980’s Zhang founded the artist group “Pond Society” and acted as a cornerstone of the avant-garde movement in Hangzhou. In the past years he has returned to a more intensive artistic practice, based on video. His earlier works experimented with aesthetics of boredom and have treated themes of social and political control. Zhang Peili’s work is always implicitly political, and he is infamous for his incisive use of irony that maintains a consistently mocking tone without descending into satire. Yang Xinguang: Born 1980 in Hunan Province. Occupying a unique role in the dialectic of contemporary art history, Yang Xinguang steps back from both descriptive work on everyday life and protest work in the realm of politics. 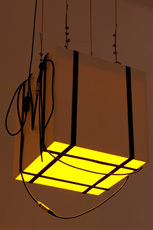 Instead, his introspective works recall the discourses of both American minimalist sculpture in terms of their phenomenological relationship with the body of the spectator and arte povera in terms of their openness towards material and space. Yang has earned the reputation as one of the strongest exemplars of a re-emerging sculptural sense among the younger generations of artists in China. Guan Fengdong: Born 1985 in Xi’an. Even without the ‘traditional’ schooling in art, Guan Fengdong works in an expressive fashion which highlights his personality- that of being sharp, persistent and dashing. In this modern life, replete with logo and commercial branding, Guan's paintings capture and reflect on our standardised, and typified, living environments. They are a reflection of his life-a symbolised lifestyle. Zan Jbai: Born 1980 in NingBo, China, he now lives and works in Paris and Beijing. As a painter, Zan Jbai ignores the artistic trends around him that arise and inevitably fade away, and pursues his own unflinching search for the absolute in monumental monochromatic compositions which incite meditation. Qiu Anxiong: Born 1972. He works in a large variety of media: paintings, drawings, prints, animations, and video installations. His practice is strongly influenced by classical Chinese philosophy as well as Chinese ink painting, which he interprets through his formal European training, as a hybrid that bridges styles across history and geography. Lu Yang: Born 1984, Lu Yang graduated from the new media department of the China Academy of Art in 2010. She currently lives and works in Shanghai. Her practice is largely concerned with the idea of control and its ethical contradictions and her works are a blend of video, sound and graphic text work; some taking the visual style of the music video, while others display her detailed research in precise graphic form. Zhang Wei: Born 1952 in Beijing, where he currently lives and works. He was a member of the group of artists that held the first underground art exhibition in Beijing during the Cultural Revolution, and in 1979 he participated in the first public exhibition of the No Name Group. His current work becomes a marriage of conceptual art and landscape painting, influenced by an understanding of the ancient Chinese philosophy of simple living and the interrelationship between man and nature, together with the permeation of more Western artistic concepts. Angela Bulloch: Born 1966 in Ontario, Canada, based in London and Berlin, and graduated in Fine Art from Goldsmiths College, University of London in 1988. Bulloch is interested in systems that structure social behaviour. Her functional sculptures, light and sound works play with the ways in which we construct and interpret different types of information, be it related to art, literature, cinema, music, or issues of ownership and authorship. Xie Molin was born in 1979, in Wen Zhou, Zhe Jiang Province, and completed his Masters in Fine Art at Edinburgh College of Art, in 2007. He has created an innovative painting machine with which he produces a unique style of painting- at first, looking like a Persian carpet imprinted with mesmerizing, wavy patterns. Although still at the exploratory stage, his artistic endevours present the viewer with an infinite aesthetic beauty.